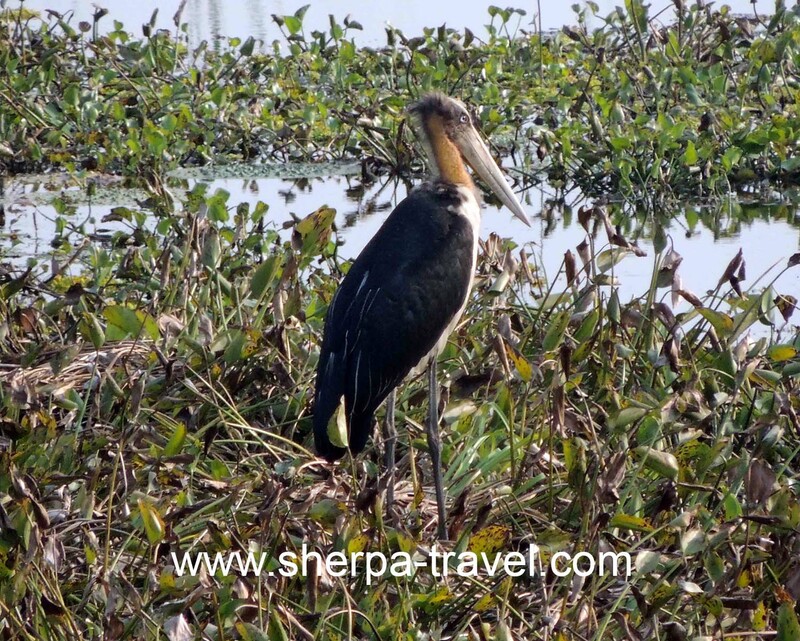 Above Photo: Lesser Adjutant in Koshi Tappu Wildlfie Reserve by Wangdowa Sherpa. 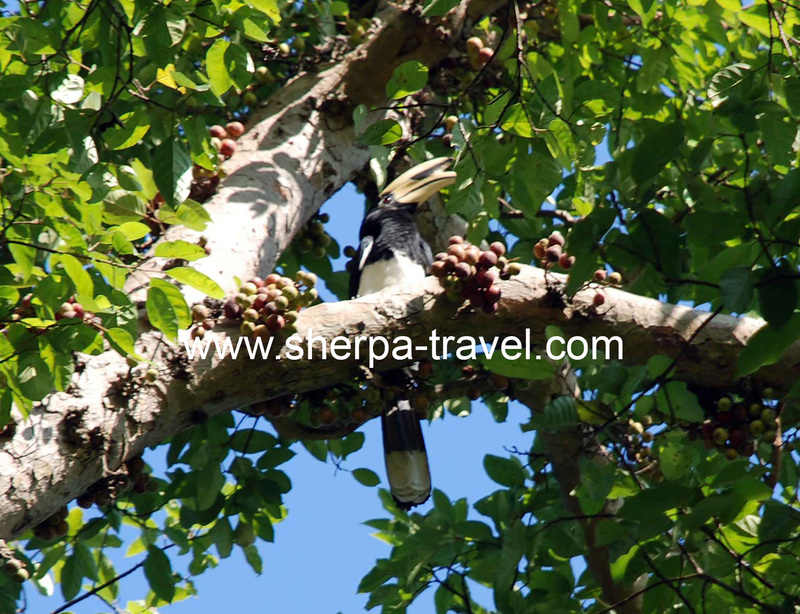 Located on plain of the Koshi River in the eastern Terai of Nepal, the Koshi Tappu Wildlife Reserve (175 sq km) is home to around 441 species of birds, including 30 shore birds, 114 water birds, 20 ducks and 2 ibises. The endangered swamp partridge and Bengal florican are also found here. 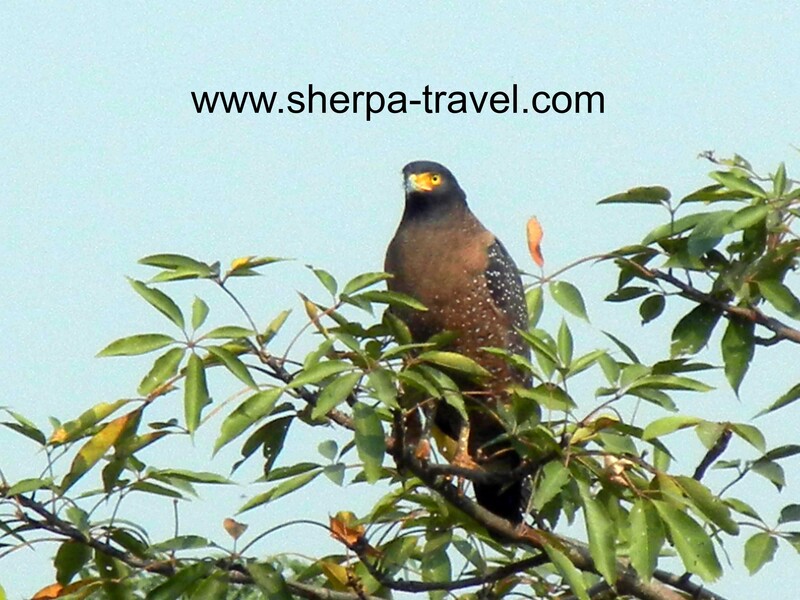 The Koshi is an extremely important resting-place for migratory birds numbering 87 winter visitors. 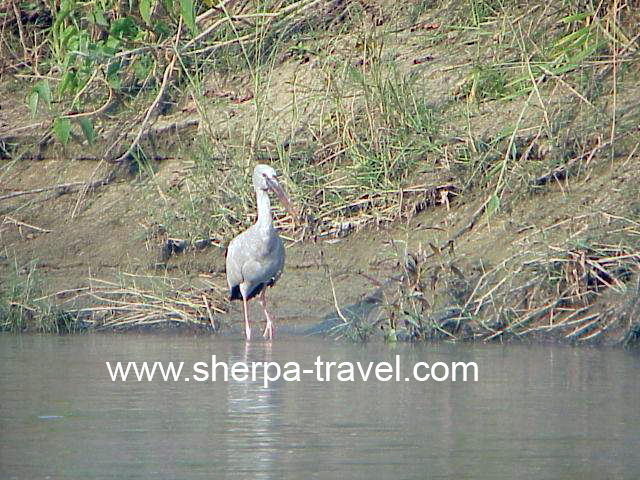 The Koshi River, which forms the major landmark of the Nepalese geography, is the home of 80 fish species. The endangered Gharial crocodile and Gangetic dolphin are also found here. 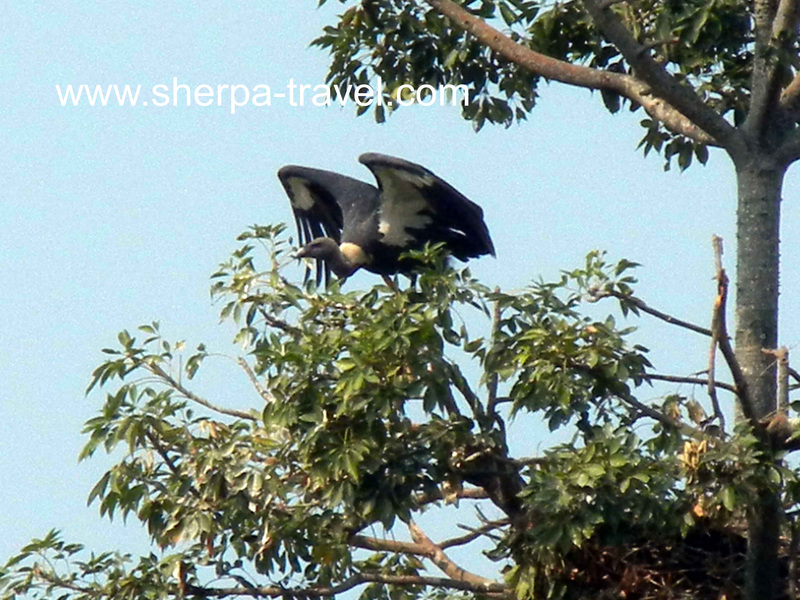 Koshi is an exclusive reserve for the last surviving population of wild buffalo or arna in Nepal. Its number at present is estimated to be 150. The reserve is a habitat of 20 other animal species such as hog deer, spotted deer, wild boar, blue bull and rock python. 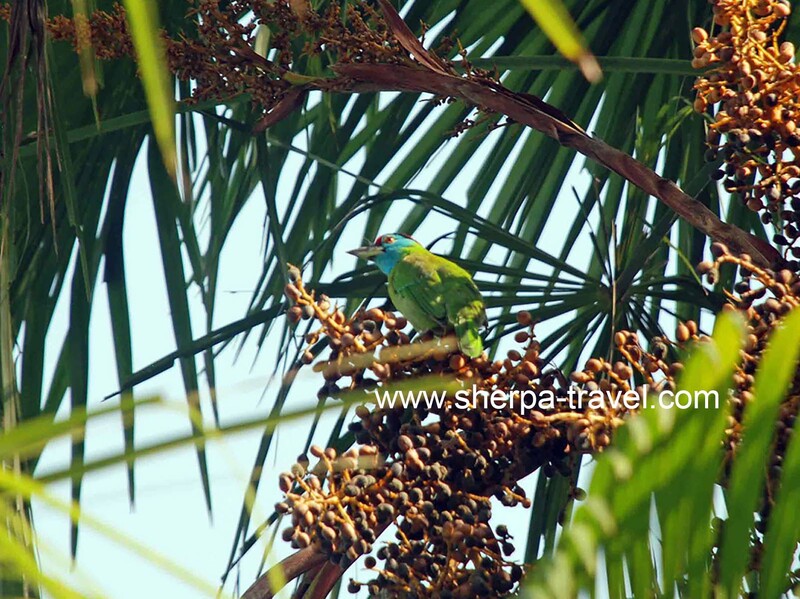 The vegetation in this region mainly includes tall khar-pater grasslands with a few patches of khair-sissoo scrub forest and deciduous mixed riverine forest. During the monsoon, the reserve is flooded with depths ranging from 10 to 300 cm. From season to season the Koshi River changes its course. The Koshi river also known as the Sapta Koshi meaning seven great rivers collects waters from the glaciers, glacial lakes, and the monsoon rains. Embankments are constructed parallel to the river to check flooding in the surrounding villages. Sunsets over the river are phenomenal. On clear days, views of the Himalayan peaks including the Mt. 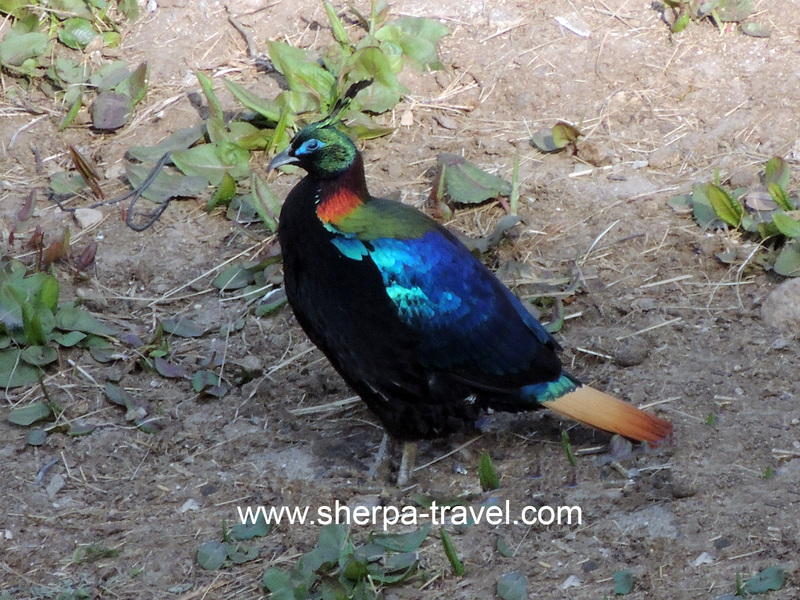 Makalu add beauties to the landscape. 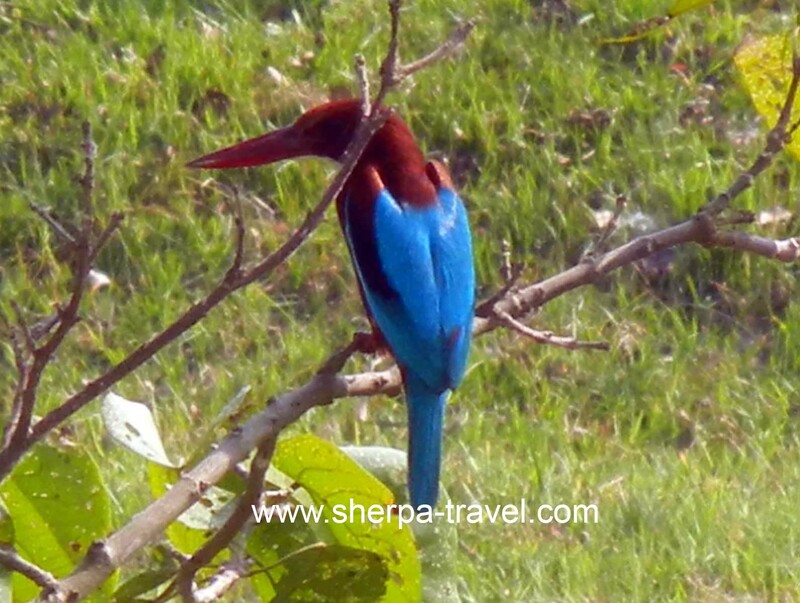 Reach our birding camp by an hour flight from Kathmandu to Biratnagar airport and pick up from airport for an hour drive to the camp. The diverse landscape of Nepalese terrain, the spectacular view of the high Himalaya, mountains, terraced hills, forest and cultivation of the plain keeps one occupied during the flight and drive. 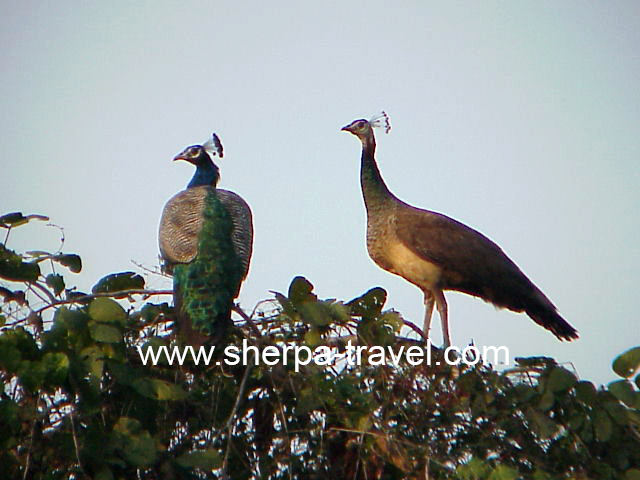 Early morning flight Kathmandu to Birtatnagar and transfer by road to Koshi Tappu Wildlife Reserve. On arrival and brief introduction of the facility and program by resident naturalist. 2.00 pm Bird walk in the marshland and field outside the reserve to see the storks, ibises, snipes, waterfowl, birds of prey etc. 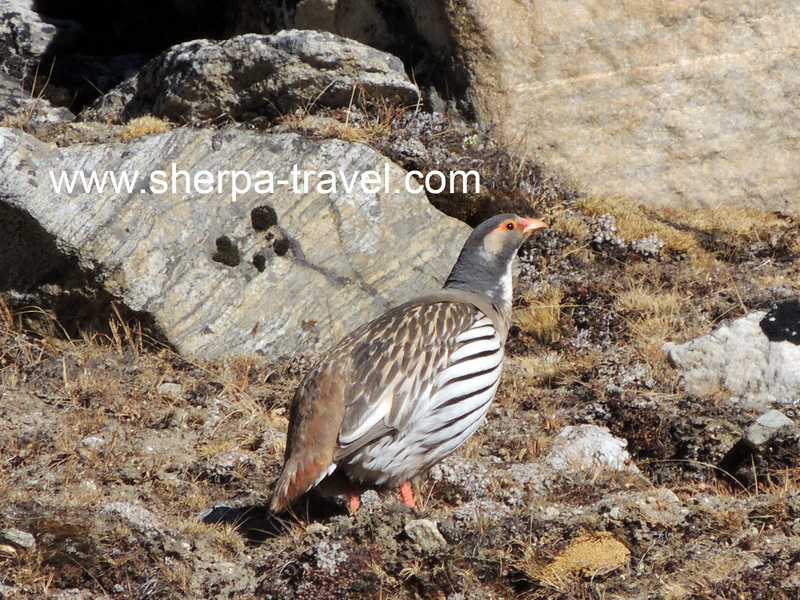 6.30 pm Briefing on the natural history of the reserve followed by Nepali dinner. 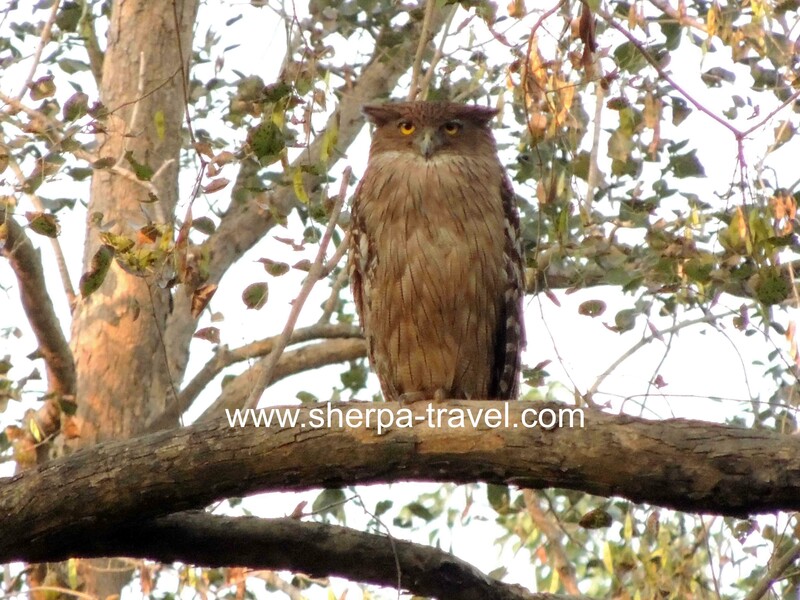 7.30am Full day excursion on boat and four wheels drive with pack lunch to see waders, waterfowl, birds of prey, marsh crocodile, otters, wild water buffalo and Gangetic Dolphins including a walk along the eastern Embankment. 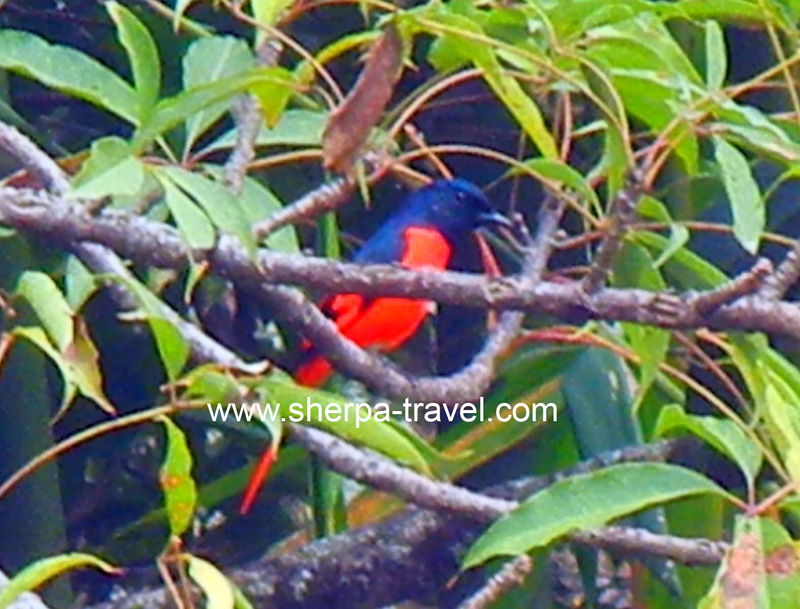 DAY 3 Bird watching around the camp area or leisure. Transfers on arrivals and departures in Kathmandu and Biratnagar.